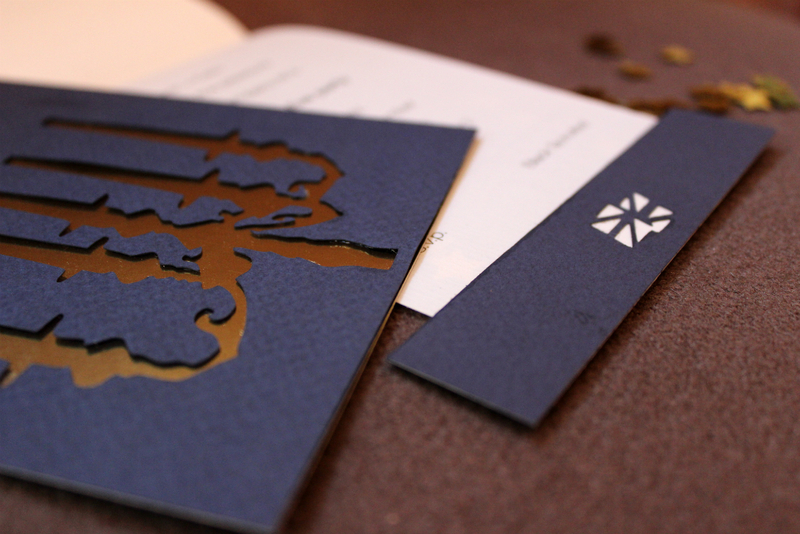 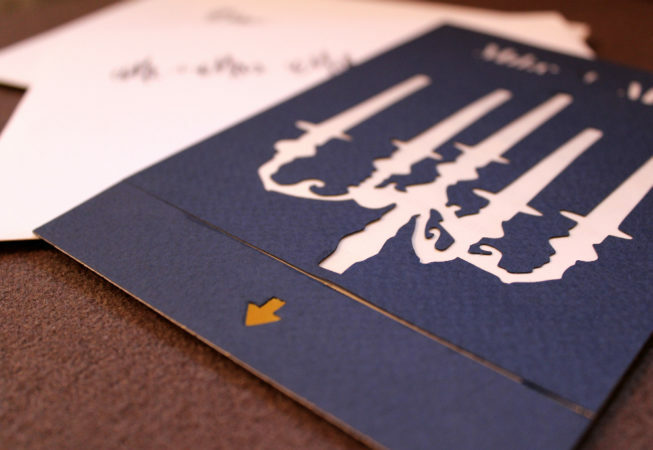 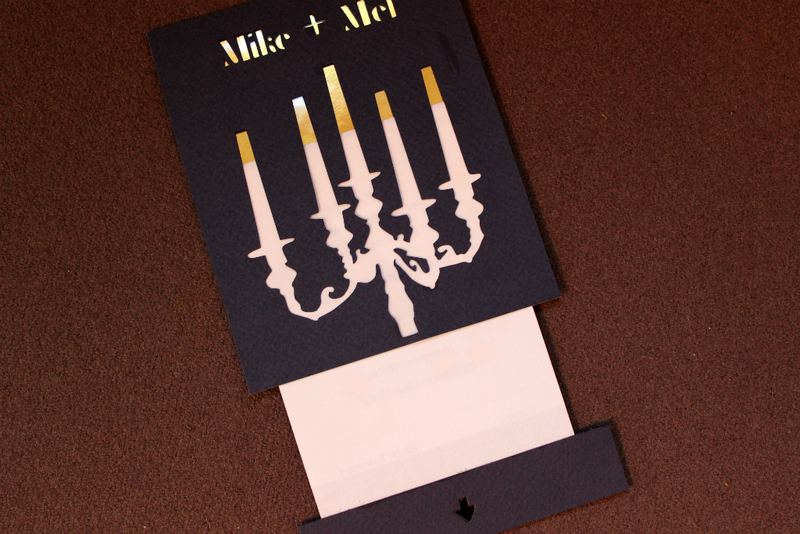 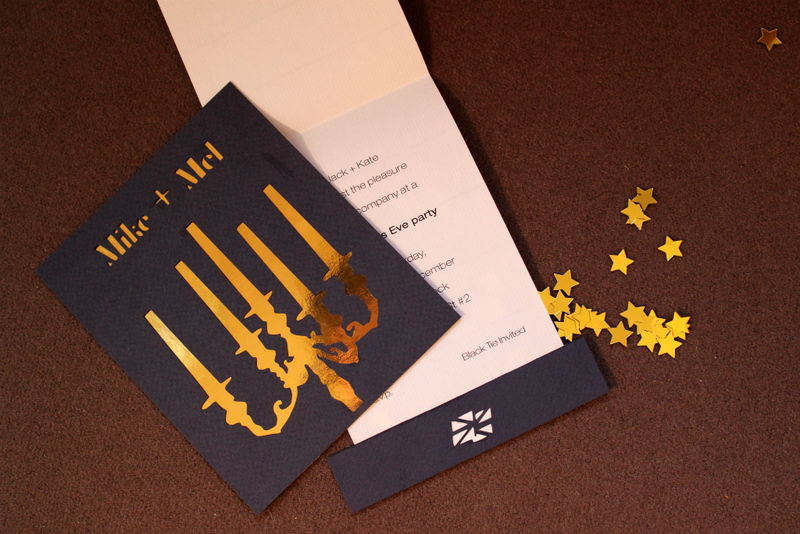 For this gold and navy card assembly we used a digital cutter to cut each invitation with the names of the recipients. This meant that the design easily doubled as a holiday card; for friends and family not attending our soiree, we cut “Happy Holidays” or “Merry Christmas” instead. 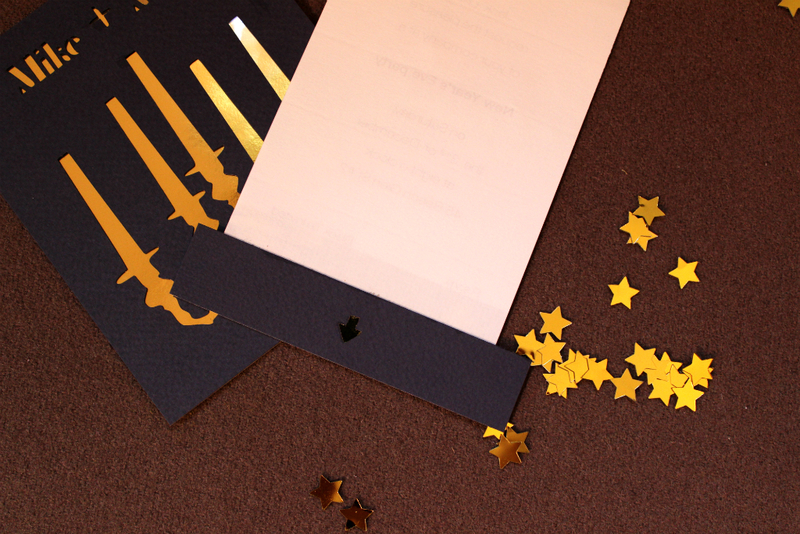 For this card, we wanted something surprising, a party in a package. 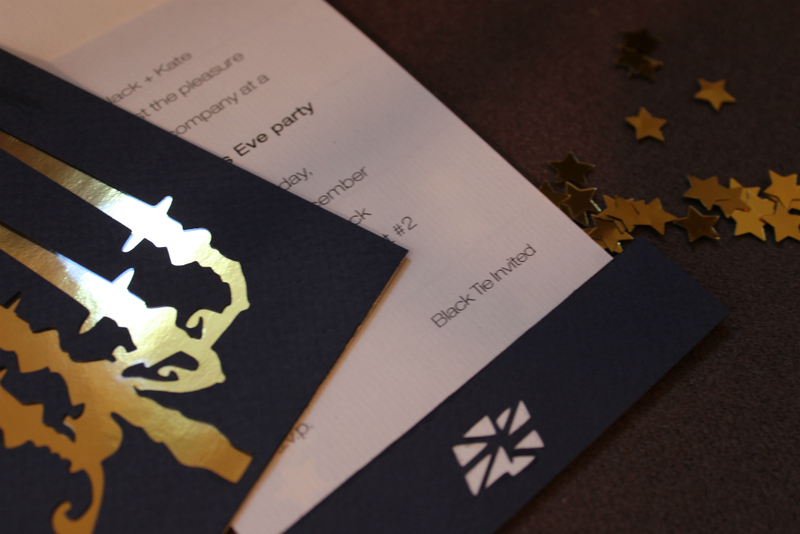 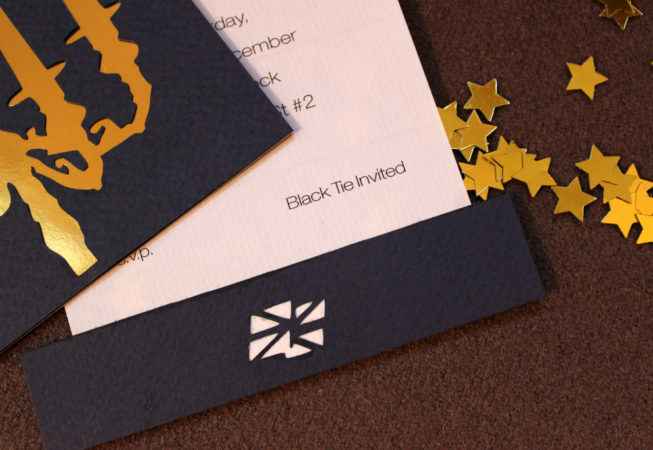 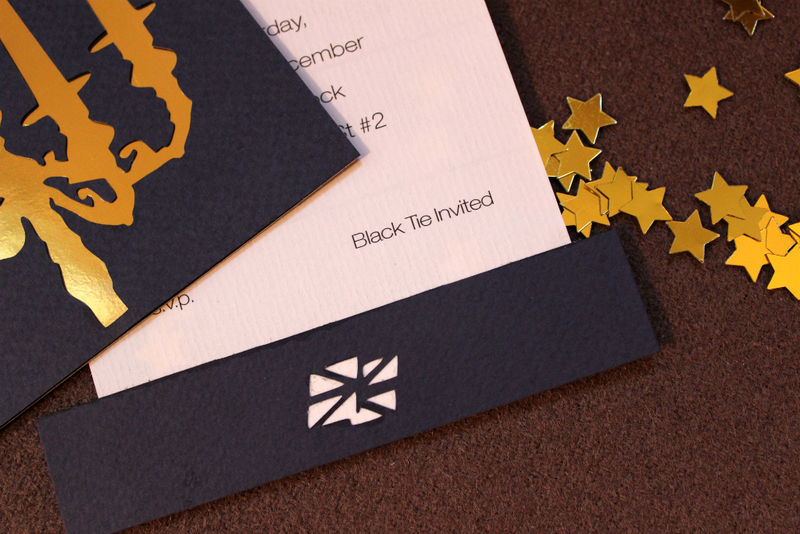 Nestled between bristol board in midnight blue, a folded white insert housed event details and gold confetti. 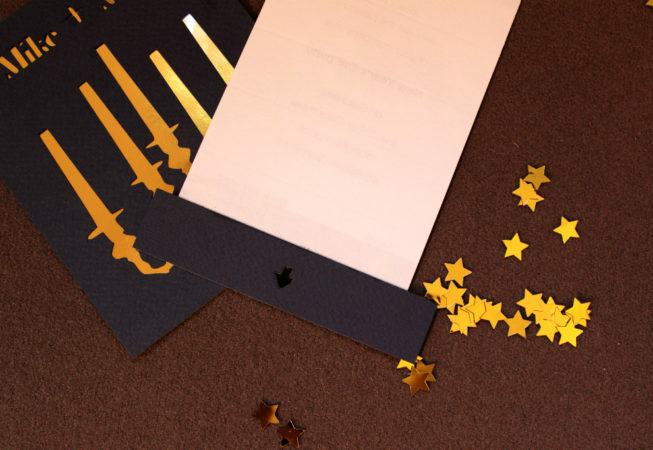 When removed, the insert both revealed gold through the cut names and candelabra, and unfolded backwards to dump confetti with minimal warning. 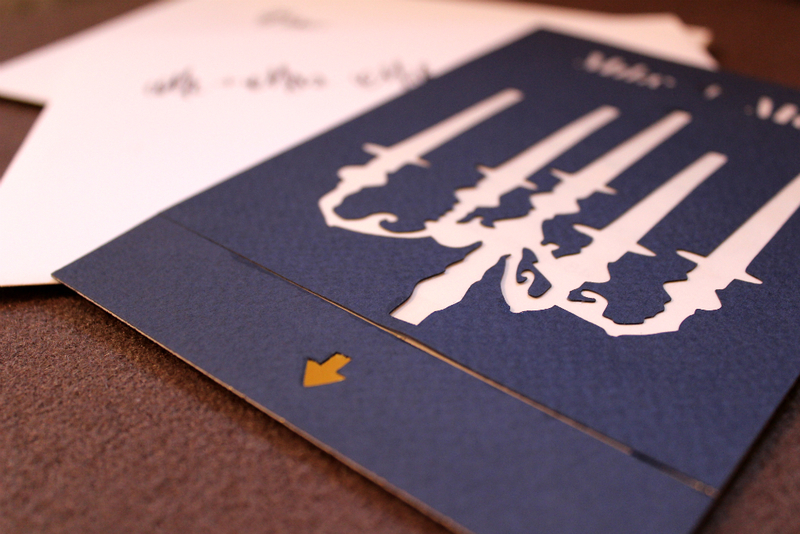 For more photos and details about the cards, the design and the assembly, read the blog post here.